Sold Individually for your events. RED on one side / GREEN on the other. 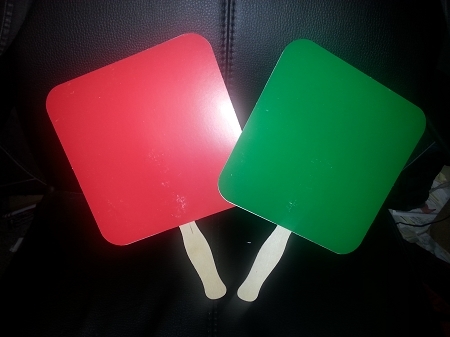 Perfect to gauge responses and reactions or easy auction paddles. 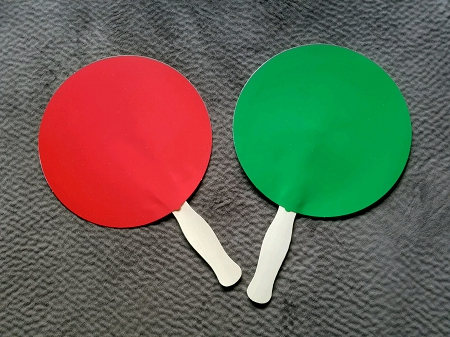 Stock design paddle fans for STOP and GO events. Choose rounded square or circle.